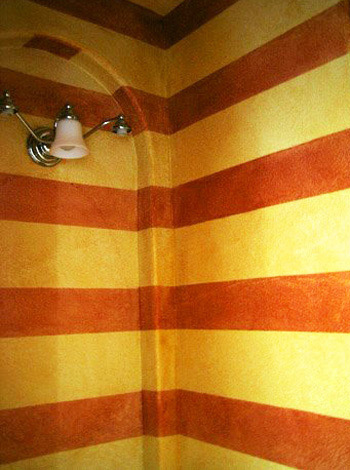 The textured walls of this powder room were colorwashed with a warm iridescent gold glaze. The 6" stripes were glazed in copper over the gold, creating 8" gold stripes in-between. American Canyon, Ca. To see another view of this project, click link below.